Fickle Feline: Sacrilicious Sunday: Happy Time! I am often inappropriate. Scratch that. I am constantly inappropriate. The filter between my brain and my mouth is as holey as a pair of pantyhose with a run up the leg (the ones you tried to fix with clear nail polish, but that didn't work so they are now wadded up in the bottom of your purse as you pray nobody notices that your legs are bare and you haven't shaved them in a week). I have a dark and twisted sense of humour. When someone tells me they went to the spa had a manicure, pedicure and facial...you got it...(and if you don't, that's cool...) my mind is automatically picturing you in a terribly compromising position. If you tell me to "keep something on the down-low", good lord, it's taking all I've got not to arch my eyebrow and say "damn!". 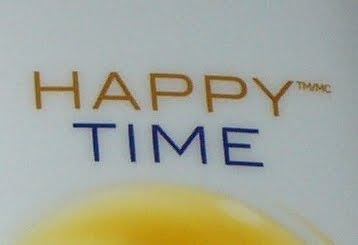 That's right, it's "Happy Time" (which they've wisely trademarked!!) Shower Cream. Wonderful. Though to be honest, I found the directions disappointinly vague. Apparently you are supposed to "let the delicious fruity scent of orange blossom stimulate your senses, while the the silky shower cream with caring bamboo milk leaves your skin feeling beautifully soft and smooth. Relax and rejuvenate with every shower". 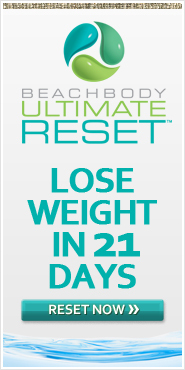 It gets better - the website promises a "cream shower for soft revitalizing sensation". All for under ten dollars ladies!! 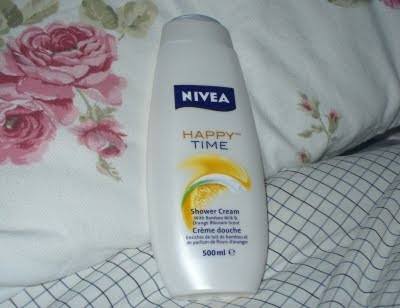 Added bonus - apparently there's a Happy Time Body Cream too (in case you didn't get as relaxed and revitalized as you would have liked in the shower). Huh. I clearly need more details on how to get to the point where I "relax and rejuvenate" myself. And damned if I can find the place where the batteries go either. Not to worry, I bought me a bottle of this fine elixir and I plan to test it out for myself. I recommend you do the same and report back on your results. Kudos to the marketing person who snuck this name through the focus groups. You made my day. Here's to a happy ending for all of us! Excellent! It's like the whole campaign was thought up in Japan and just got lost in translation to English. Or they totally meant to make it sound as it does. did it come with batteries? Oh me too, me too. I couldn't contain a chuckle when nivea first came out with that product a few years back. check out http://www.lacoste-parfums.com/loveofpink/ for another naughty slogan. One of my favorite perfumes, but the slogan just gets me every time. Hilarious. Can just imagine the laughter from the agency copywriters behind this one....especially once they got client approval. Especially the part about the "caring bamboo milk". Caring? Really?? where did you say you can get this stuff? Because I am an addictive reader, I read everything I can get my hands on - even the back of shampoo bottles in the shower. You would be amazed at how often inanimate objects are given human attributes (i.e. caring bamboo milk). It's a massive pet peeve of mine. My mind is right there with ya! Before and After: Kitchen Makeover. Max Update: My Grocery Buddy! 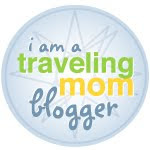 TMI Tuesday: No More Babies. 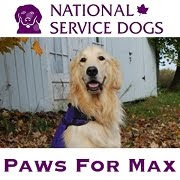 Max Knows His Animal Sounds (& His Name!). Welcome Twenty-Ten! (Can I Get an Amen? ).